This project proves how a modest budget needn't mean small ambitions when it comes to domestic architecture. 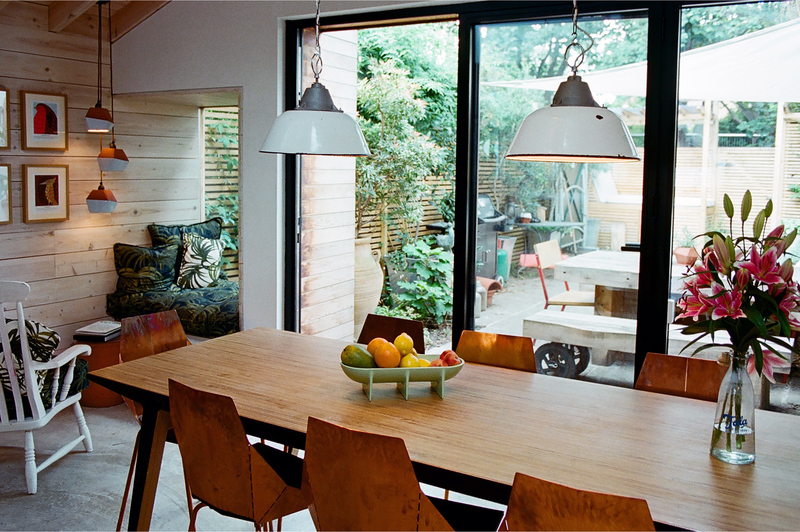 With just £70,000, Tom Kaneko introduced natural light and air to a typical terraced house. The brief was to extend the living space on the ground floor, and create a light and open space to enjoy cooking, dining and living. Jemima wanted a place to entertain her friends in any season. 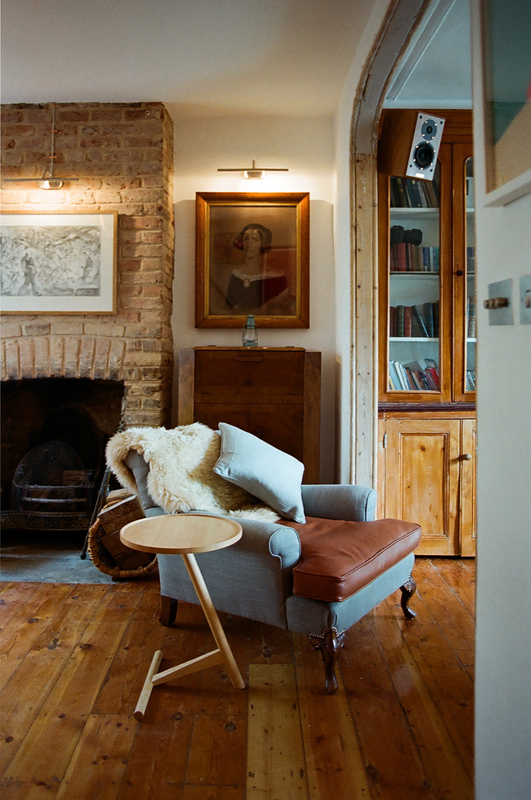 Jemima’s House was part of Open House London in September 2014. The old house was a beautiful place in winter, when one is more concerned with looking inward, but when the days become longer, the thick walls kept the light and life of summer out, and the garden was a separate entity to the rhythm of life within the house. The interior walls are panelled with horizontal timber boards, which, like the exposed rafters, are lightly white-washed, creating a calmer appearance. The wood is Norwegian Spruce - the cheapest and most readily available timber found in any builder's merchant. 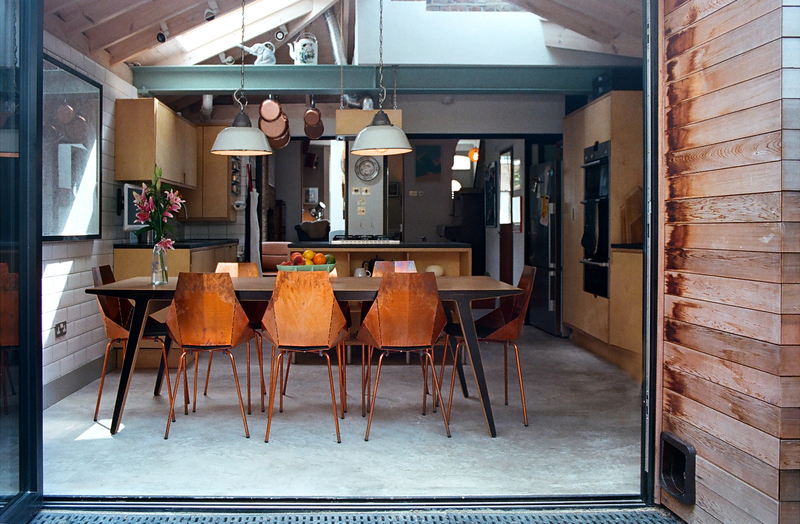 Within the generous openness of the extension, hide some intimate spaces that balance form and function. To bring light into the heart of the house, a light well is positioned between the old and new wings. Currently functioning as an office, it could one day be a winter garden, or a library. 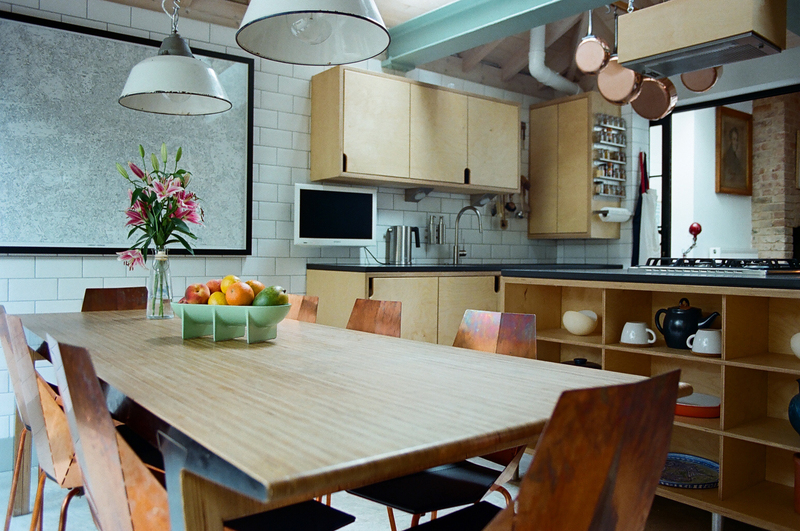 It sits beside a utility area with a tiny downstairs loo, and a place to hang your coat. 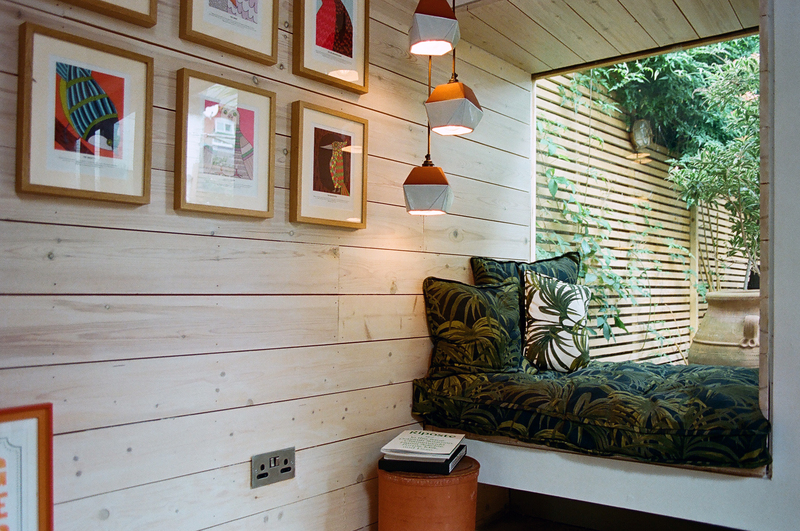 Finally, a small sitting space is tucked into a sheltered corner, with a private view of the garden. It is a human-sized hole for one person to read in, or two to be snug, on soft cushions cocooned in white-washed timber panels. The success of the project is in creating illusion: of space and air within the width of a narrow terrace; the strong sense of nature in a densely built street and city; the lightness of wood behind a heavy brick facade.